The Union – Press Release – HBO Debut January 2012! NEW YORK, June 6, 2011 – HBO Documentary films has acquired the domestic TV rights to THE UNION from Vinyl Films, it was announced today. Directed by Cameron Crowe (“Almost Famous,” “Jerry Maguire”), the film will debut on HBO in Jan. 2012. 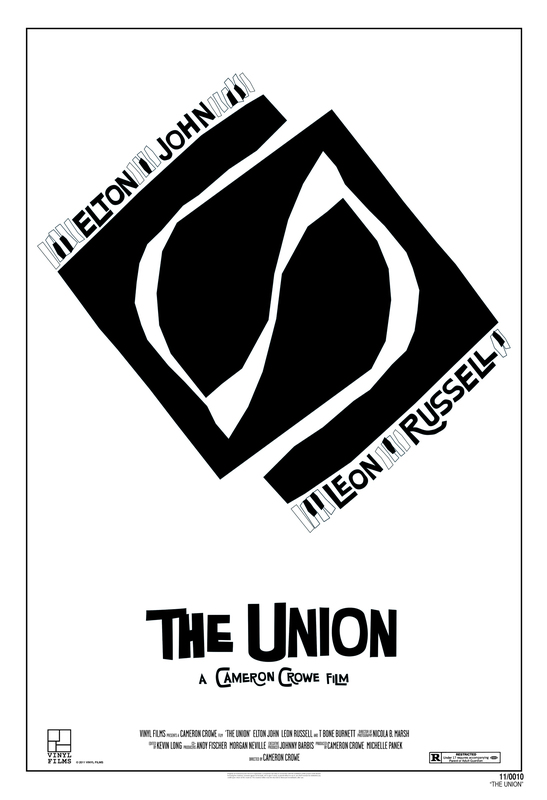 THE UNION takes an unprecedented look at the creative life of Elton John and his remarkable collaborative album with his early-career idol, Leon Russell, produced by award-winning music producer T Bone Burnett. Never before filmed in his composing process, John is captured by Crowe in this candid portrait of one of the world’s most treasured artists and performers. Begun in Nov. 2009, THE UNION chronicles the entire writing and recording process of the heralded album John recorded with Russell. “I’m a great fan of HBO and their extraordinary programming, so I’m particularly thrilled that they will be airing THE UNION,” commented Elton John. The film had its world premiere as the opening night selection at the 2011 Tribeca Film Festival. Creative Artists Agency (CAA) represents Crowe and Burnett and negotiated the deal with HBO on behalf of the filmmakers. THE UNION is directed by Cameron Crowe; produced by Cameron Crowe and Michelle Panek; executive producer, Johnny Barbis; editor, Kevin Long.